A few weeks ago, I attended a public hearing about offshore oil drilling here in Charleston. I filmed the public comment period, and several participants agreed to be interviewed after the hearing ended. I have over 3 hours of footage if anyone is curious about what didn’t make the final cut. Interestingly, only a few participants lived in South Carolina. Oil companies and conservation NGO’s sent people from their Washington, DC headquarters. Most of the people who spoke were affiliated with a conservation NGO or an oil company or conservation NGO, but the unaffiliated individuals (residents of South Carolina) who spoke were all opposed to offshore drilling. 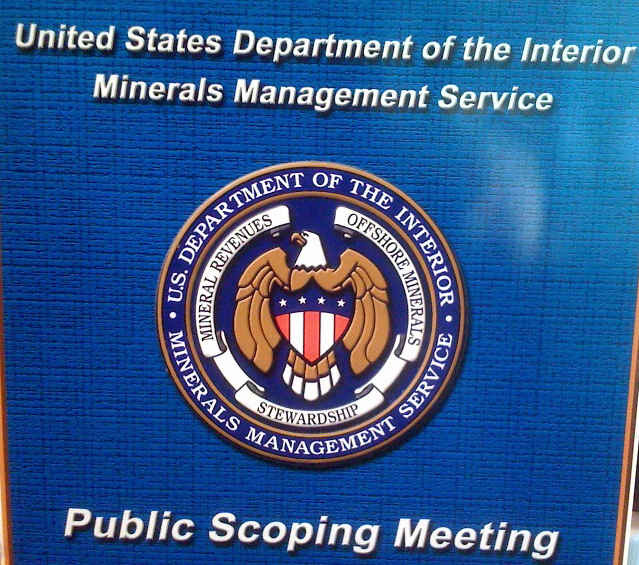 While those of you following me on Twitter already heard about this, one of the rules that the Minerals Management Service has for public hearing is so amusing that it needs to be included in this post. 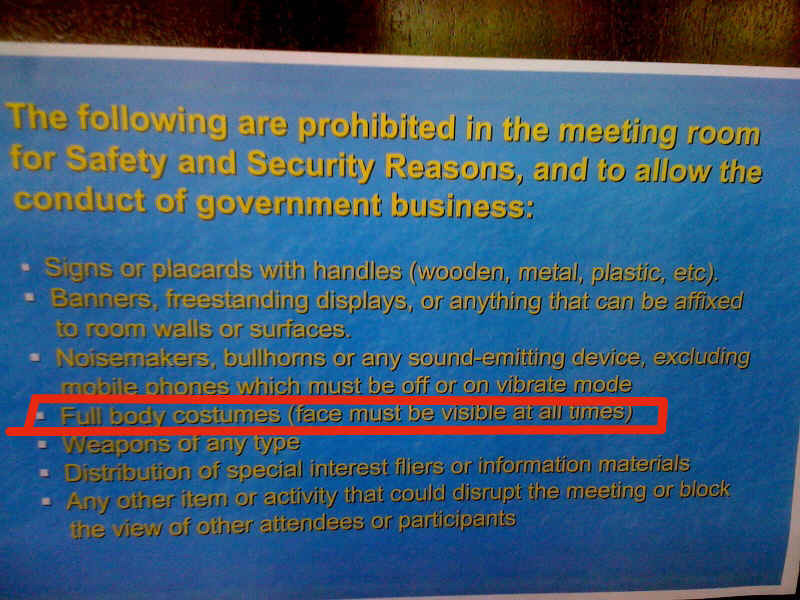 I asked about it, and apparently Greenpeace is infamous for having protesters dressed as whales come to these hearings and pretend to die in agony on the floor.